and filling out a K-W-L chart. ...and tried our hands at some artsy activities! 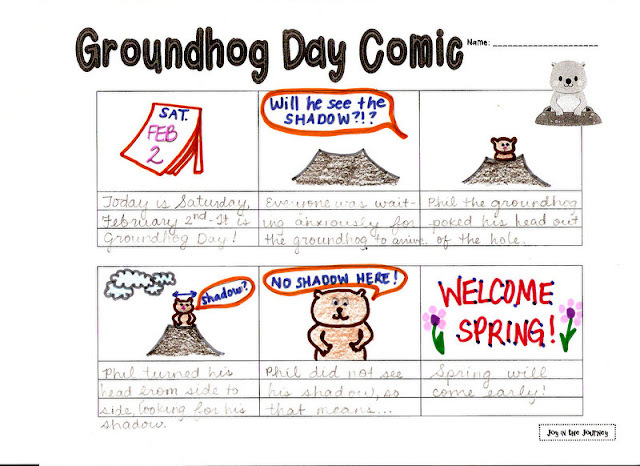 It's not too late to try these fun activities with your kiddos - Head on over to my TpT store to pick up a copy of my 10-page Groundhog Day activity packet for only $1! 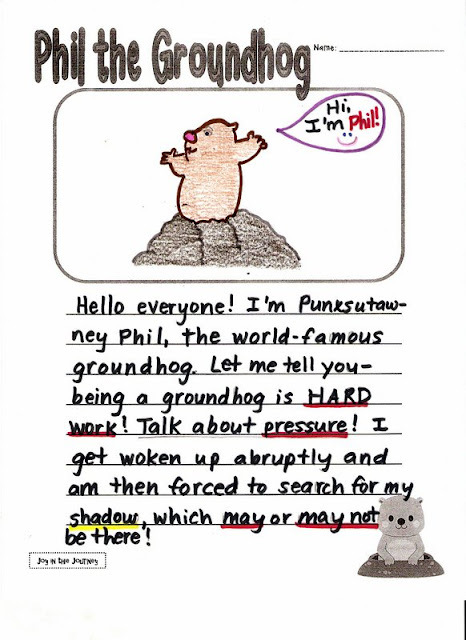 Happy early Groundhog Day Everyone! Sad Opposite Night No One! Students Who Need to "Ketchup!" Recipe Swap! 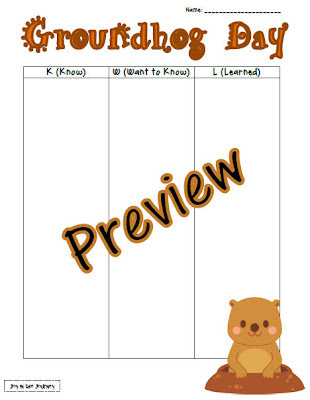 and a Menu-planning freebie! 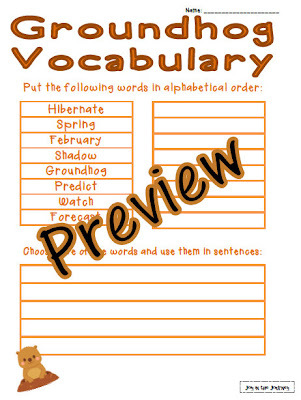 Reviewing Classroom Procedures: 2 Freebies!